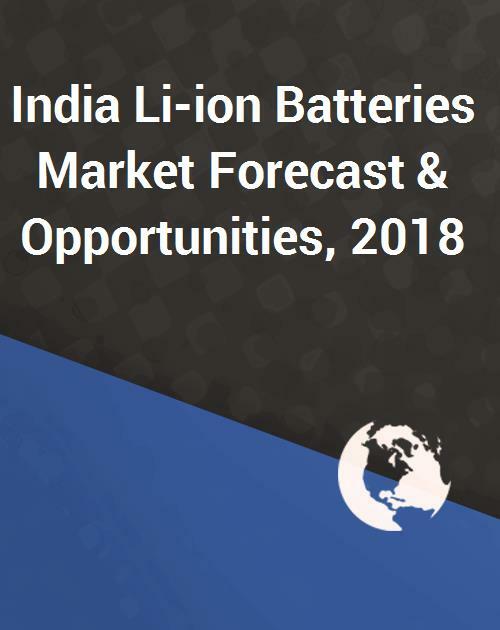 According to “India Li-ion Batteries Market Forecast & Opportunities, 2018”, the Li-ion batteries market in India is projected to grow at a CAGR of around 24% during 2013-18. The demand for Li-ion batteries is expected to increase significantly in automotive segment due to increasing government emphasis towards reducing emissions from ICE (Internal Combustion Engine) by switching to electric vehicles. This is further supported by tax exemption for Li-ion batteries used in electric vehicles. Major global players such as LG Chem, Panasonic and IBM are increasing their focus on R&D in order to decrease the manufacturing cost of Li-ion batteries by introducing new high energy density batteries like Lithium air batteries. 10.2. Heter Electronics Group Co., Ltd.
10.3. Hitachi India Pvt. Ltd.
10.5. Panasonic India Pvt Ltd.
10.6. Rajamane Telectric Pvt. Ltd.
10.8. Shenzhen B&K Rechargeable Battery, Inc.
10.9. Sony India Pvt. Ltd.